Luxury auto brand Mercedes-Benz is using celebrity influencers and social media to boost millennial sales. 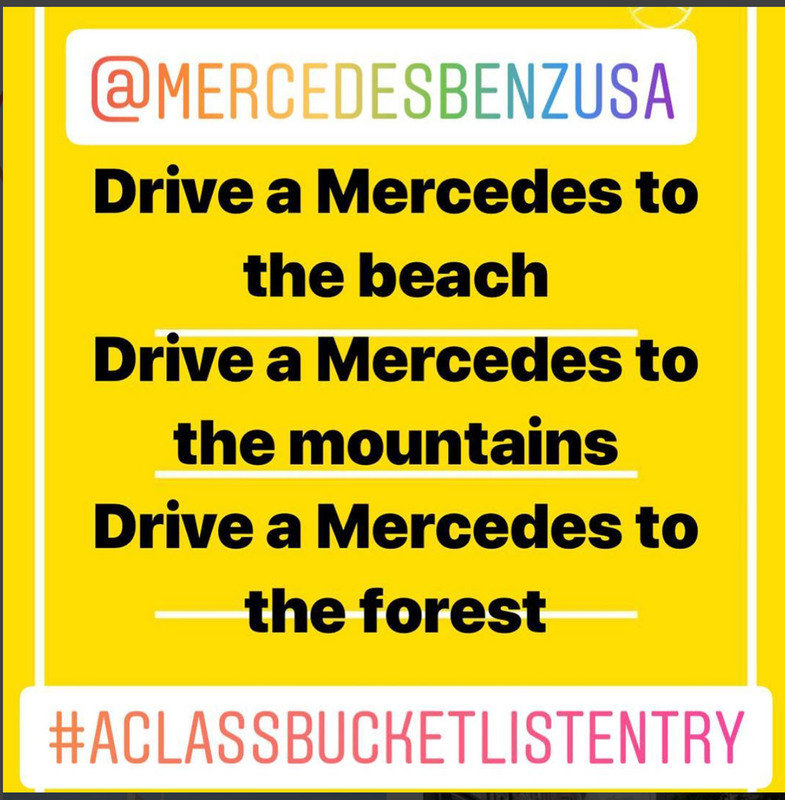 The key to promoting the release of its A-Class sedan to the American market is Instagram in particular: The brand is asking those on the platform to share their bucket lists using templates the company offers on its official story. In exchange for partaking in the campaign, participants are entered for a chance to have one Mercedes fulfill one of the items on their list. To help promote the car itself as well as the campaign, the brand is involving celebrity participants such as pop star Charli XCX and professional tennis player Sloan Stephens. The brand hopes this interactive campaign will be the perfect means of driving engagement among the influential millennial demographic, major targets for social commerce. Furthermore, Mercedes-Benz joins the many brands redefining luxury retail in a transforming landscape.